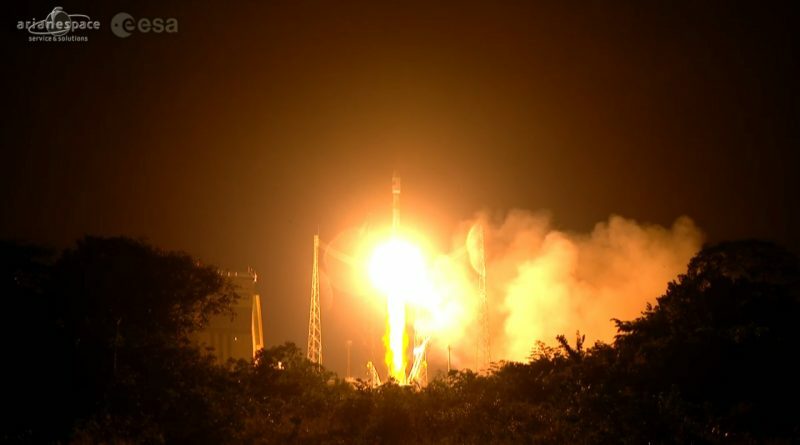 A Russian Soyuz rocket lit up the night over the edge of the Amazon Friday night, embarking on its first-every Geostationary Transfer Orbit mission out of French Guiana, requiring the maximum possible performance out of the Soyuz ST-B rocket and Fregat-MT upper stage. 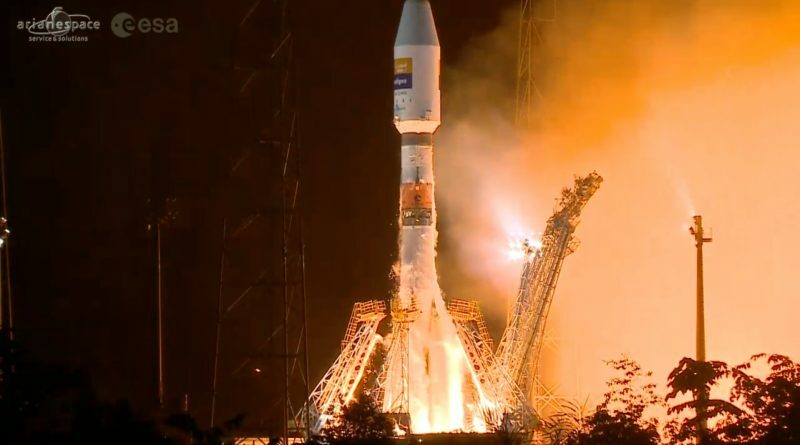 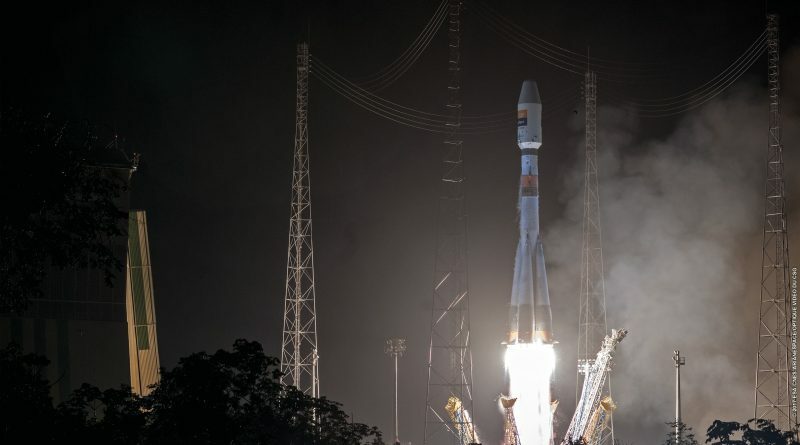 A Russian Soyuz rocket lit up the night over the edge of the Amazon on Friday, embarking on its first-ever Geostationary Transfer Orbit mission out of French Guiana, requiring the maximum possible performance of the Soyuz ST-B rocket and Fregat-MT upper stage. 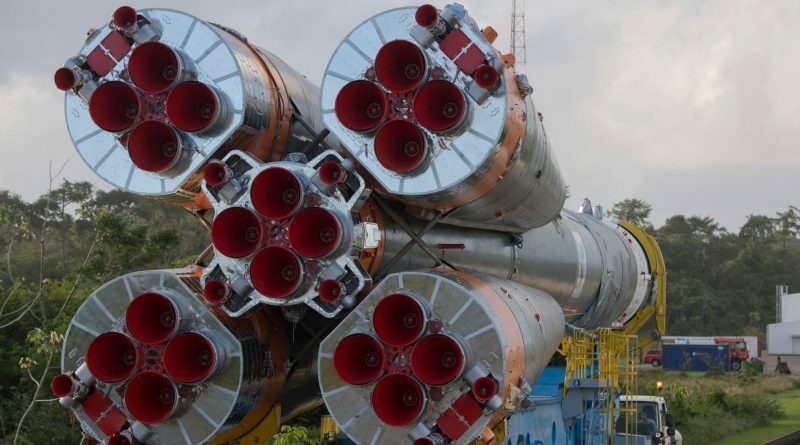 A Russian-built Soyuz rocket is counting down to liftoff from its equatorial launch pad at the Guiana Space Center Friday night on the rocket’s first-ever Geostationary Transfer Orbit mission from French Guiana.